I have wanted to write this post since FOREVER but stuff just kept... Happening. Loads of extra hours at work and sudden energy to put into knitting... A bit of a shame, since this is something I'm super excited about! A few months ago two dear friends told me and my boyfriend they wanted to start their own business. 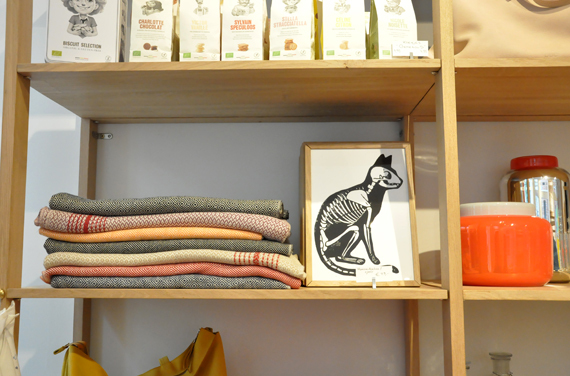 They both had a long retail background and a passion for beautiful things, so starting a store selling gifts and design objects seemed like a logical step. They wanted to offer a variety of nice things, including art made by local young artists, and so Superet was born! We did some brainstorming about things we could contribute, and I decided to sell some postcards, limited lino prints, printed tote bags and handmade brooches (which I posted about before). 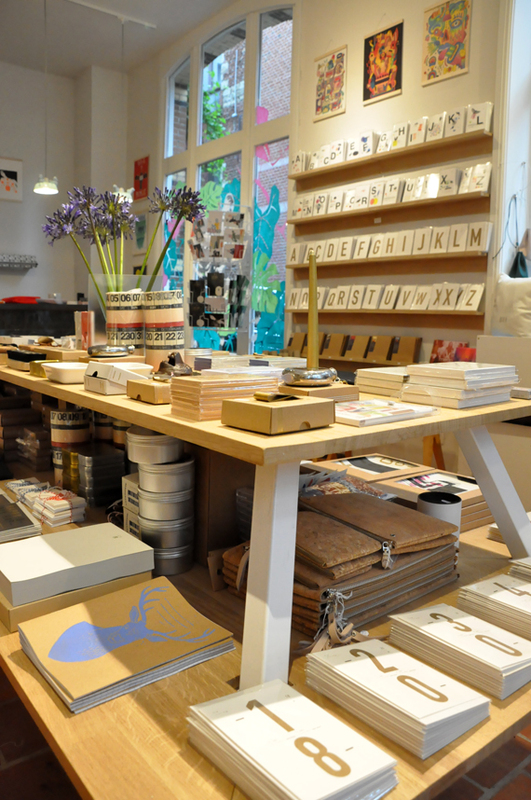 They worked their butts off to get everything ready, and the result is a gorgeous shop in the middle of Antwerp (seriously, it's smack in the middle of the city)! 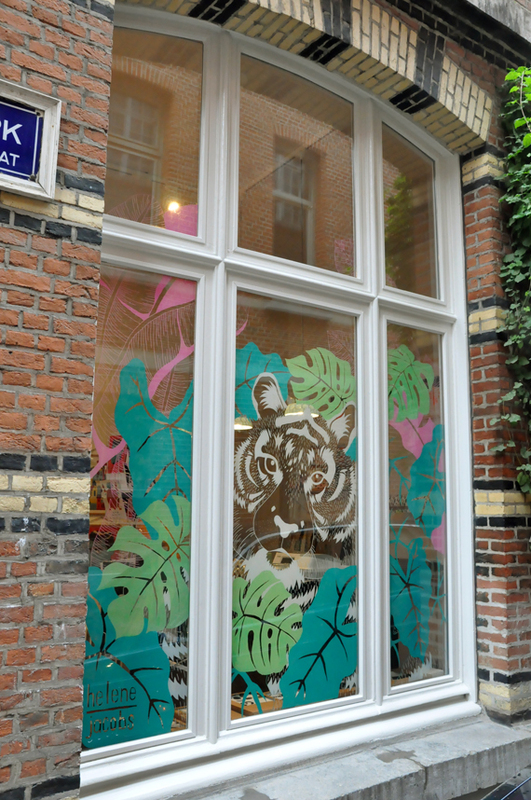 My friend Hélène provided an awesome tiger for the shop window! She also has some beautiful postcards and gift tags for sale. My boyfriend came up with tons of super happy colourful prints and posters! I thoroughly christened my block printing press by churning out some lino prints. It's a really cool process, even if it leaves everything dirty and the cat very confused. The press I have is a super simple one, basically two planks and a lever, but it works really well! This cat print is available, along with a few others you might have glimpsed before. 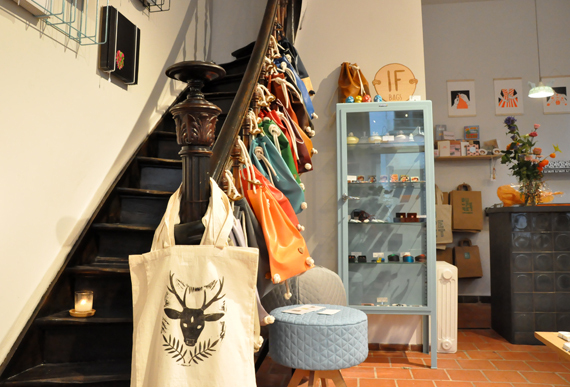 The one thing I was really excited (and a bit afraid) about are the tote bags! The good thing about the type of press I have is that it doesn't go through a roll like on a more advanced printing press, so while the printing surface is the same (around an A4), you have some space around it to use larger paper, or in this case, tote bags! Each one of these is handprinted and unique. They have loads more amazing things, and some beautiful gift ideas. If you're in Antwerp, go say hi and have a look!